The myth of Persephone and Hades has to be one of my favorites. Persephone is a Goddess of Vegetation, Spring Growth, Nature. She is the daughter of Zeus and Demeter. Persephone was out collecting flowers with friends (a couple other goddesses or some nymphs depending upon what you read) when Hades jumped up from a crack in the earth and stole Persephone away to the Underworld to be his wife and queen. Demeter, Goddess of the Harvest, searched the world for Persephone and not finding her went into a deep despair, causing the world to become barren and cold (the Winter months). (Another version has Zeus conspiring in helping Hades, thus enraging Demeter. She then refused to let anything grow.) 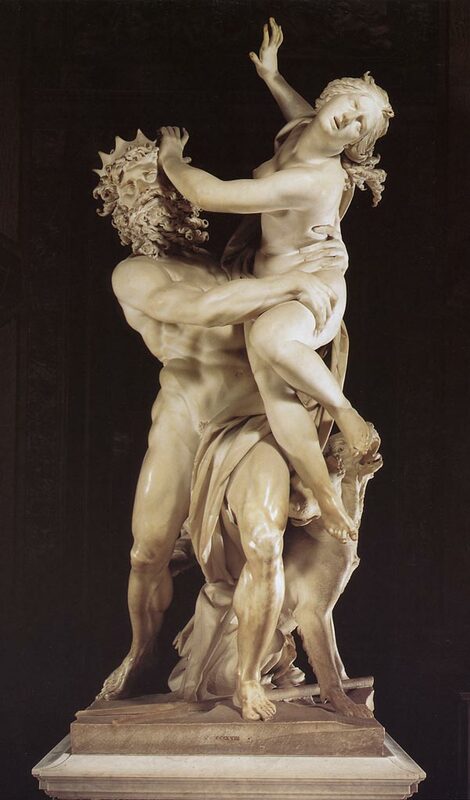 Helios, the sun, told Demeter what had happened to her daughter and Zeus consented to sending Hermes to retrieve her. Before leaving, Hades convinced Persephone to take a pomegranate of the Underworld with her. Persephone later ate the pomegranate, binding her to the realm of the Underworld. From there after she is bound to spend 1/3 of the year in the Underworld with her husband Hades and the rest, 2/3, of the year with the rest of the Gods in Olympus. The return of Persephone to the world of the living is shown by new vegetation in the spring. There are a few things I love about this myth. The first being the obvious explanation behind the seasons. Persephone comes back and the world is full of new blossoms and green plants (Spring). The world gets back to normal, the sun shines and things heat up, plants grow and become fruitful (Summer). Demeter realizes her daughter must return to the Underworld and becomes saddened. The days get shorter, the harvest is celebrated as people reap all those fruits and vegetables (Fall). Persephone no longer walking the earth but instead ruling in the Underworld, sends her mother into despair until she will return to the living world again, refusing to let plants grow. The world becomes barren and cold yet again (Winter). The second is the underlying world that Persephone lives in. About 2/3’s of the year she gets to spend her time with the other Gods, her mother Demeter, her friends. Then 1/3 of the year she has to spend it in the Underworld with Hades. To me she’s not only a Goddess of Nature, she’s a Goddess of Balance as well. She has to balance her life between the two, Hades and Demeter. Learning to live in the Underworld while she already knows what the living world is like. The love of her husband versus the love of her mother. We could all do with a lesson in balance and I think Persephone teaches just that. She made lemonade with her lemons and then drank it, enjoying every last drop. We all live in two worlds. The world we have at home, being ourselves. The world we have outside the home.